The richer the assortment of amphibian species in a pond, the more protection that community of frogs, toads and salamanders has against a parasitic infection that can cause severe deformities, including the growth of extra legs. The findings, published in a paper in this week’s issue of the journal Nature, support the idea that greater biodiversity in large-scale ecosystems, such as forests or grasslands, may also provide greater protection against diseases, including those that affect humans. A larger number of mammal species in an area may curb cases of Lyme disease, while a larger number of bird species may slow the spread of West Nile virus. “How biodiversity affects the risk of infectious diseases, including those of humans and wildlife, has become an increasingly important question,” said Pieter Johnson, an ecologist and evolutionary biologist at the University of Colorado Boulder, and the lead author of the paper. Researchers have struggled to design comprehensive studies that could illuminate the possible connection between disease transmission and the number of species living in complex ecosystems. Part of the problem is the enormous number of organisms that may need to be sampled, and the vast areas over which those organisms may roam. This study overcame that problem by studying smaller, easier-to-sample ecosystems, the scientists say. Johnson and colleagues visited hundreds of ponds in California, recording the types of amphibians living there as well as the number of snails infected by the pathogen Ribeiroia ondatrae. Snails are an intermediate host used by the parasite during part of its life cycle. “One of the great challenges in studying the diversity-disease link has been collecting data from enough replicate systems to differentiate the influence of diversity from background ‘noise,'” Johnson said. The researchers buttressed field observations with laboratory tests designed to measure how prone to infection each amphibian species is, and by creating pond replicas using large plastic tubs stocked with tadpoles that were exposed to a known number of parasites. All the experiments told the same story. Greater biodiversity reduced the number of amphibian infections and the number of deformed frogs. The scientists spent three years sampling 345 wetlands and recording malformations–which include missing, misshapen or extra sets of hind legs–caused by parasitic infections in 24,215 amphibians. 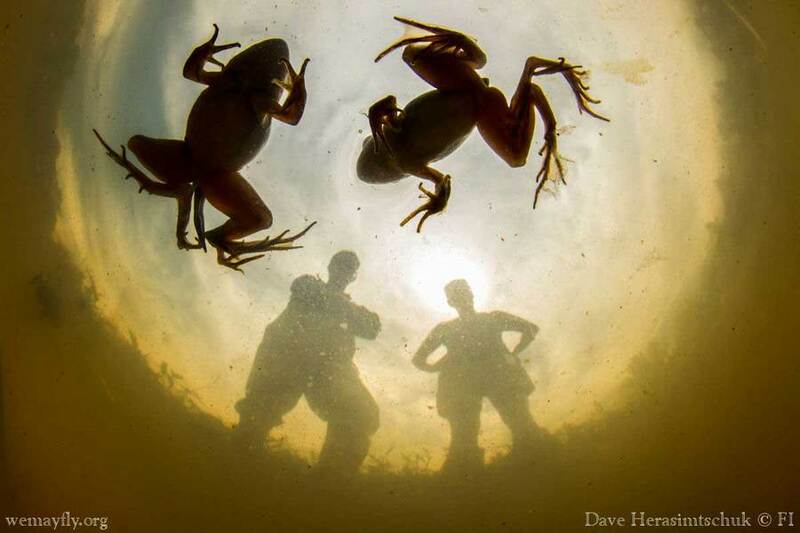 The results showed that ponds with half a dozen amphibian species had a 78 percent reduction in parasite transmission compared to ponds with just one amphibian species. The reason for the decline in parasitic infections as biodiversity increases is likely related to the fact that ponds add amphibian species in a predictable pattern, with the first species to appear being the most prone to infection and the later species to appear being the least prone. The researchers found that in a pond with just one type of amphibian, that amphibian was almost always the Pacific chorus frog, a creature that’s able to rapidly reproduce and quickly colonize wetland habitats, but which is also especially vulnerable to infection and parasite-induced deformities. On the other hand, the California tiger salamander was typically one of the last species to be added to a pond community–and also one of the most resistant to parasitic infection. Therefore, in a pond with greater biodiversity, parasites have a higher chance of encountering an amphibian that is resistant to infection, lowering the overall success rate of transmission between infected snails and amphibians. This same pattern–of less diverse communities being made up of species that are more susceptible to disease infection–may well play out in more complex ecosystems, Johnson said. That’s because species that disperse quickly across ecosystems appear to trade off the ability to quickly reproduce with the ability to develop disease resistance. The recent study also reinforces the connection between deformed frogs and parasitic infection. In the mid-1990s reports of frogs with extra, missing or misshapen legs skyrocketed, attracting widespread attention in the media and motivating scientists to try to figure out the cause. Johnson was among the researchers who found evidence of a link between infection with Ribeiroia and frog deformities, though the apparent rise in reports of deformations, and its underlying cause, remained controversial. While the new study has implications beyond parasitic infections in amphibians, it does not mean that an increase in biodiversity always results in a decrease in disease, Johnson said. Other factors also affect rates of disease transmission. For example, a large number of mosquitoes hatching in a particular year increases the risk of contracting West Nile virus, even if there has been an increase in the biodiversity of the bird population. Birds act as “reservoir hosts” for West Nile virus, harboring the pathogen indefinitely with no ill effects, then passing on the pathogen. “Our results indicate that higher diversity reduces the success of pathogens in moving between hosts,” Johnson said. Co-authors of the paper are Dan Preston and Katie Richgels of the University of Colorado Boulder, and Jason Hoverman of Purdue University. In addition to NSF, the research was funded by the National Geographic Society and the David and Lucile Packard Foundation. West Nile Virus infected birds are not harboring the pathogen “indefinately” as purported by the author. Typically it is only 1-10 days of infection where the bird either dies or gains immunity to the virus by antibody formation.